If you are the Mi A1 user and recently updated your phone to Android 8 Oreo and now want to go back to Nougat ROM or Downgrade Mi A1 From Android 8 Oreo to Nougat. Many Mi A1 users who recently updated their phone with OREO update and not happy with the performance of the phone, most of them are complaining about the camera issue and some other bugs. If you are one of them and missing the Nougat ROM on your Mi A1. Don’t worry you can easily go back to the Nougat ROM on Mi A1 with this how-to guide. 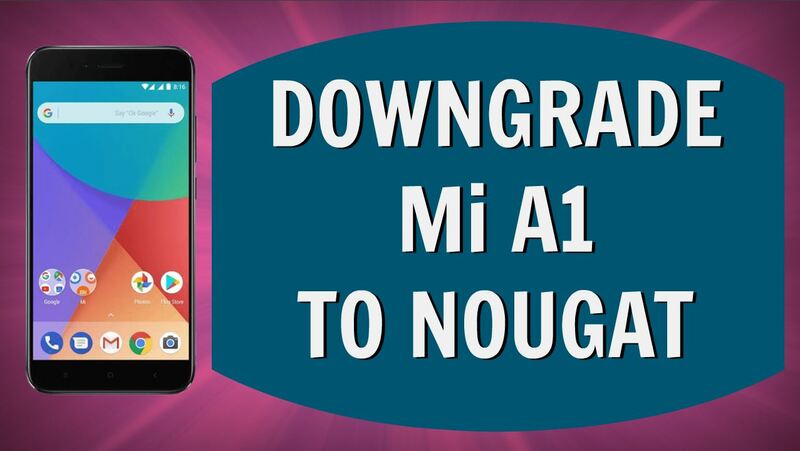 This is the official method to Downgrade Mi A1 From Android 8 Oreo to Nougat. All you have to download fastboot Nougat ROM for Mi A1 and flash the same with the help of fastboot commands. This method will work on both rooted and non-rooted phones. And one of the easy way to go back to the Android Nougat from OREO on Mi A1. Before following the below mentioned steps to take the full backup of your Mi A1 phone, This process will wipe all the data from your phone so backup is a must. So let’s start and Downgrade Mi A1. 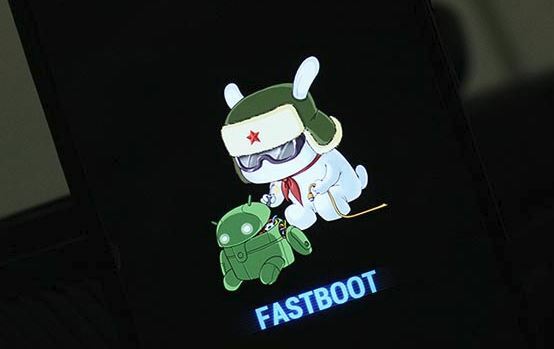 If you are new to flashing and fastboot commands then read all the steps very carefully and follow all the below mention steps one by one on your phone. Make sure that your phone has enough battery (Above 70%) to complete this whole process. Warning: Technobuzz.net is not responsible for any damage that might happen to your phone during this process. 2. Now download the Nougat ROM for Mi A1 from above and extract the folder on your desktop. 3. 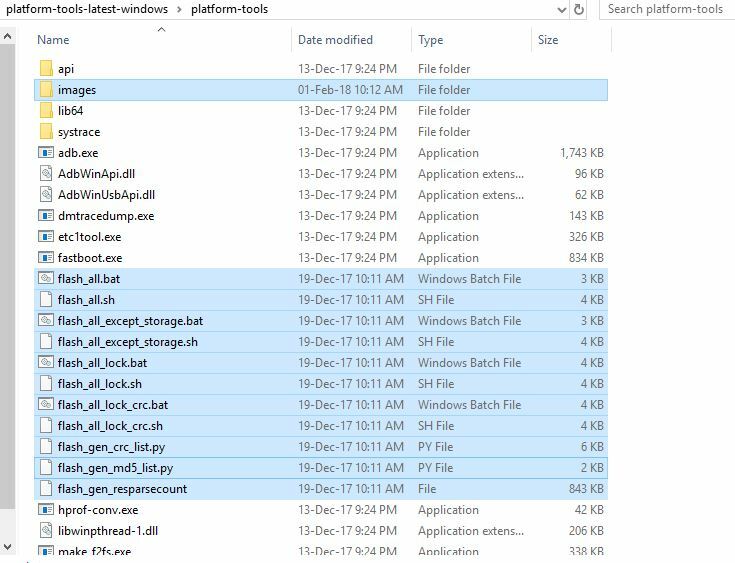 Now copy all the Nougat Files and Paste into the Platform Tools folder. 4. Now all the files are ready. Boot your phone into fastboot mode. To do this first Power off your phone. Now Hold down Volume Down + Power button to boot your phone in fastboot mode. 6. Connect your phone to the PC with USB cable to start the downgrade process. 9. Once it finished your phone will reboot and now you can disconnect your phone from the USB cable. 10. The first boot will take some time. And now you successfully downgraded your Mi A1 from Android 8 Oreo to Android Nougat. With this method, you can go back to Android Noiugat form OREO on your Xiaomi phone. If you have any doubt or question then leave the comment below. We will help you to fix it up. I have tried with the guide given above. Doesn’t works. 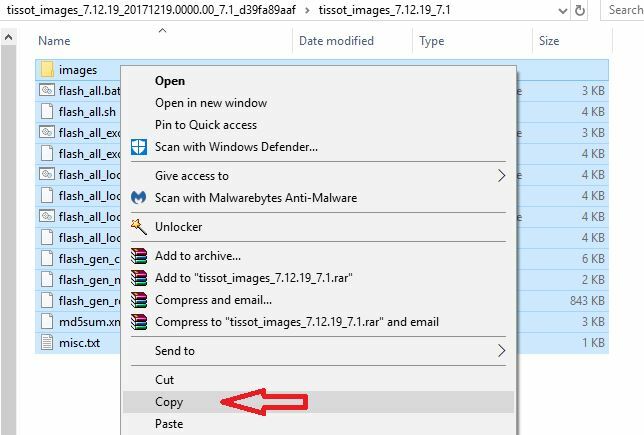 the file name flash_all.bat doesn’t display as flash_all.bat after extracting the file. also could run the file. could you please explain the method to downgrade on linux machine? Can I Upgrade To My Mi A1 From Oreo 8.0 To Oreo 8.1.10 in same process? By typing “fastboot devices” cmd shows a device. I unlocked my devices’s bootloader successfully. 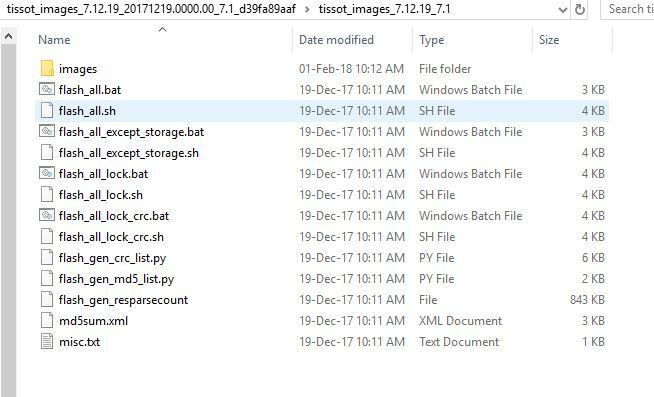 I turned on usb debuging On and then entered the Fastboot mode and tried to run flash_all.bat file on my windows 7-64bit but it shows error, “flash_all is not recognised as an internal or external command”. 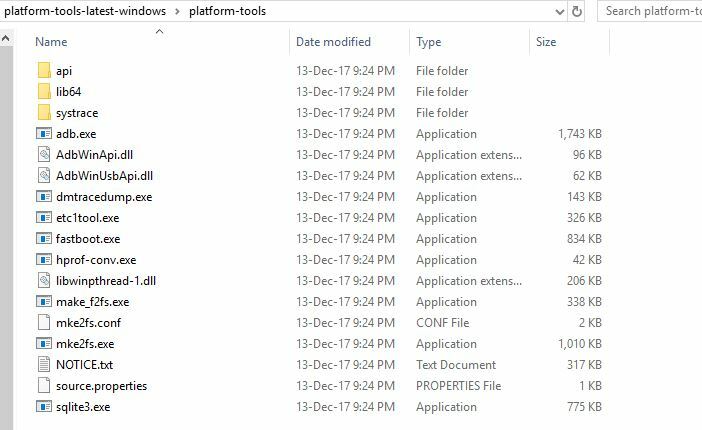 after fastboot step then i opened flash all file but command window did not run then automatic closed immediately when i tried to open that file. please help. i want to downgrade my mi a1 phone.